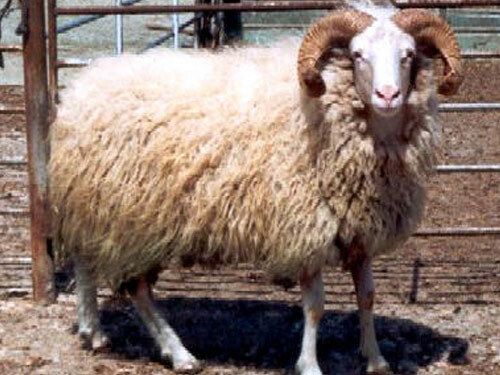 Kivircik sheep are found in northwestern Turkey, where it is kept for milk and meat production. Their fleece is of carpet-wool type, but their wool is of better quality than the wool of all other indigenous breeds in Turkey. They are white with white or spotted faces, similar to the Karnobat and the Tsigai. Black and brown varieties are also found. Rams have horizontal spiral horns extending sideways; ewes are usually polled. Tails are long and thin, usually reaching the hocks.